Criterion Theater in Bar Harbor. 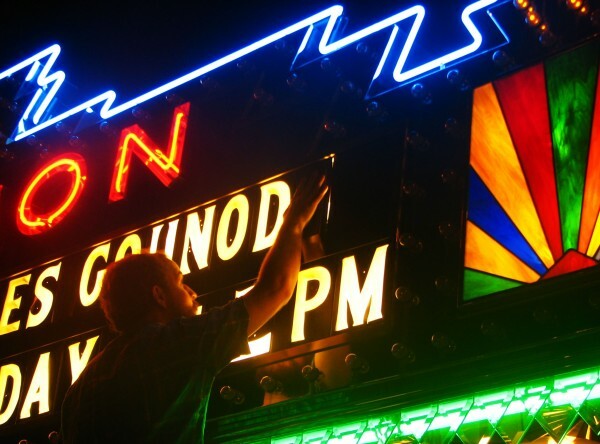 A Criterion Theater employee changes lettering on the Bar Harbor theater's marquee in 2009. 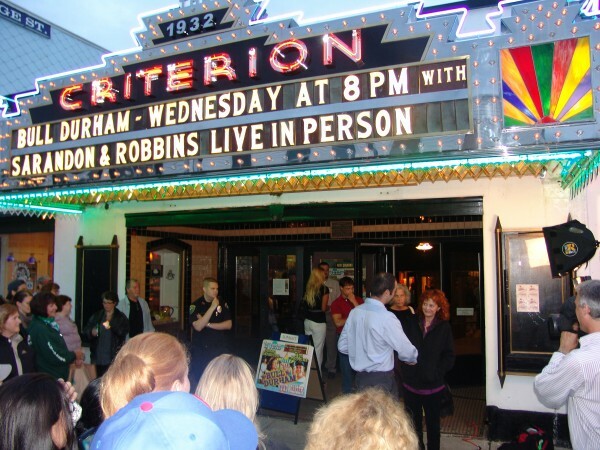 BAR HARBOR, Maine — With hopes of improving the property’s physical condition and restoring its cultural significance, a nonprofit group purchased the historic Criterion Theatre. The Bar Harbor Jazz Festival purchased the Cottage Street art deco theater, built in 1932, from Erin Early Ward, according to Michael Boland, president of the festival’s board. Boland, who co-owned the theater as a private business, said Monday in an email the sale price was $1.2 million. The purchase of the theater was made possible by a $2 million dollar donation from a local summer resident who Boland did not identify. He indicated the donation, made specifically for the acquisition of the 877-seat theater, enabled the festival to purchase the property outright, without incurring any debt, and to have some money leftover to hire staff, make repairs and create a small endowment. The theater has had moisture problems caused by improper maintenance and care in recent winters, according to Boland, and is in urgent need of mold remediation. Contractors were expected to start work on cleaning up the building interior Monday morning, he said. The festival is actively soliciting donations from other potential donors to help cover other expected costs, such as the purchase of new seats for the theater, which Boland estimates will cost approximately $350,000. The festival hopes to have repairs made, staff hired and programming in place in time to open the theater by next spring for four or five days a week, Boland said. During the busy summer and fall tourist seasons, the new owners expect the theater to be open seven days a week, he added. Built more than 80 years ago, the theater was known for hosting a variety of events for decades. But by the end of the 20th century, it had become solely a summertime movie theater. Over the past 13 years, a series of owners and managers made a go of running it as a private business while diversifying the types of events held there — including live music, theater productions and simulcast events — but had mixed success. Boland and his former partners bought the theater in 2001 from longtime owner Betty Morison, then sold it six years later to Ward and her then-husband Anthony Uliano for $1.4 million. A nonprofit group was established to rent and operate the theater, but they struggled with financial solvency and other problems — including racking up a $150,000 bill to rebuild the marquee — before they ran out of money and lost their lease in 2011. Over the past three years, the theater held intermittent events but has not been open on a regular basis. The Bar Harbor Jazz Festival is the first nonprofit organization ever to own the theater and, as a nonprofit, will be eligible for grants, tax benefits and other sources of funding that have not been available to prior owners. Many residents in the Bar Harbor area have expressed disappointment in recent years with how the theater has been managed — and, for the most part, closed. Boland said seeing the theater struggle “for me, personally, has been very difficult.” He said Bar Harbor is more than a seasonal tourist town and should have a venue where live performances can be staged and enjoyed year-round.